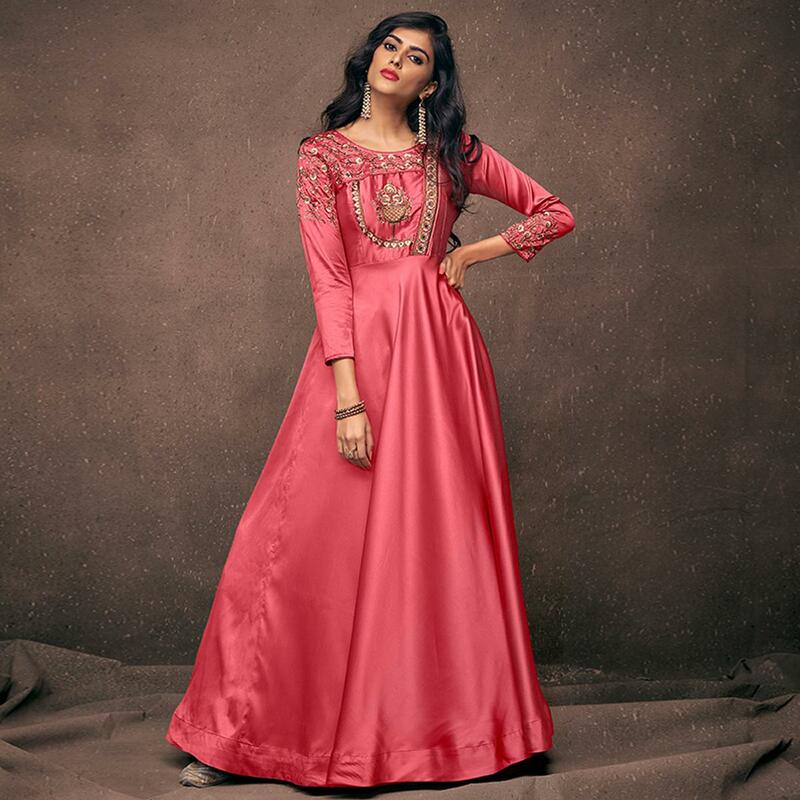 Be an angel and create and ascertain a smashing impression on anybody by wearing this stunning pink colored party wear gown. 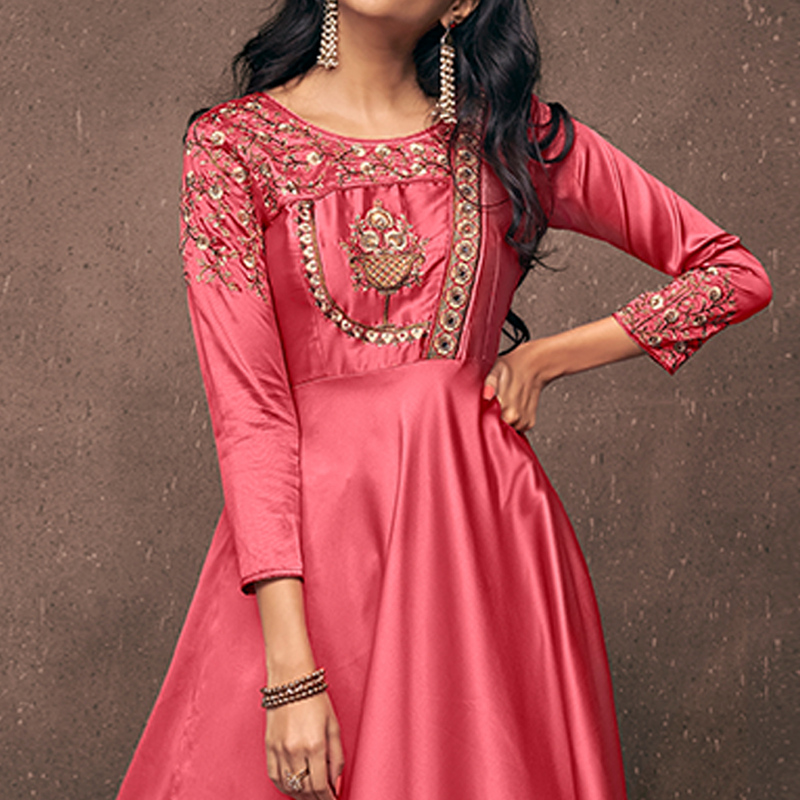 The gown is made of satin silk fabric which has been beautified with lovely embroidery work which makes this outfit more demanding. Comes along with stitched santoon inner. 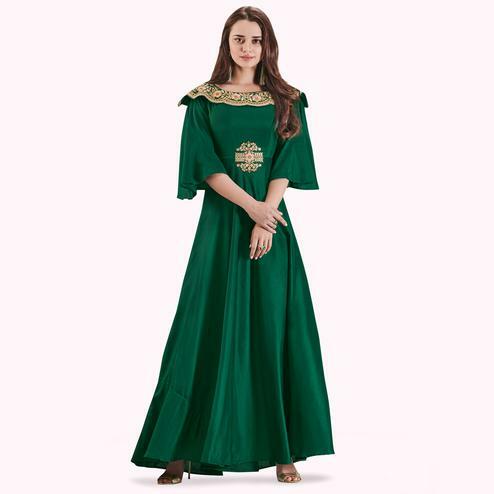 Specially designed to wear for functions, family occasions, parties, high profile events where you want to be center of attraction. Pair it up with stylish accessories and heels to make your look more attractive. 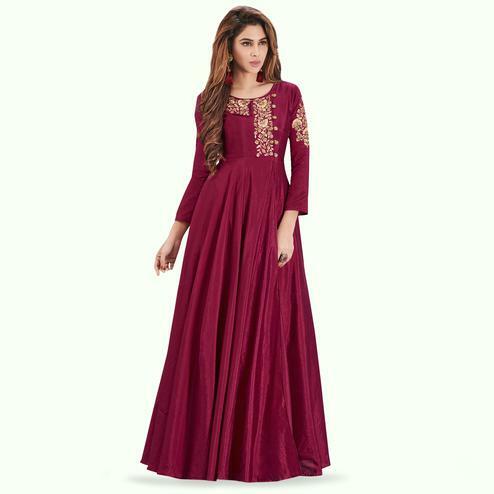 Try this gown and earn lots of compliments from onlookers. Get this gown now before it's gone out of stock.